In a statement published this morning, Conviviality has confirmed the sale of its retail businesses, which include Bargain Booze and Wine Rack, to UK grocery retailer and wholesaler Bestway for £7.25 million. The statement added: “The sale secures continued employment for circa. 2,300 employees of the Conviviality Retail business and provides continuity of trade for suppliers and franchisees”. Late on 6 April, Matthew Callaghan, Ian Green and David Baxendale of PricewatershouseCoopers (Pwc) were appointed as joint administrators for Wine Rack and Conviviality Retail Logistics, while Matthew Callaghan, Ian Green and Peter Dickens of PwC were simultaneously nominated as administrators for Bargain Booze. The sale was reportedly agreed at 11:56pm the same day. In the statement, Conviviality added: “The administrators have effected a sale of the trade and assets of the Conviviality Retail business undertaken by these companies. The sale has been agreed further to receipt of many expressions of interest in connection with an accelerated sale process co‐ordinated by PricewaterhouseCoopers LLP. Bestway have paid £7,250,000 for certain of the business and assets of the Conviviality Retail business”. However, it added: “It is with regret that the Board notes that the companies are not expected to have sufficient assets to satisfy all their liabilities. PricewaterhouseCoopers will be in contact with creditors of Wine Rack Limited, Bargain Booze Limited and Conviviality Retail Logistics Limited. The Board also understand that the realisations will be insufficient to provide any return to shareholders”. 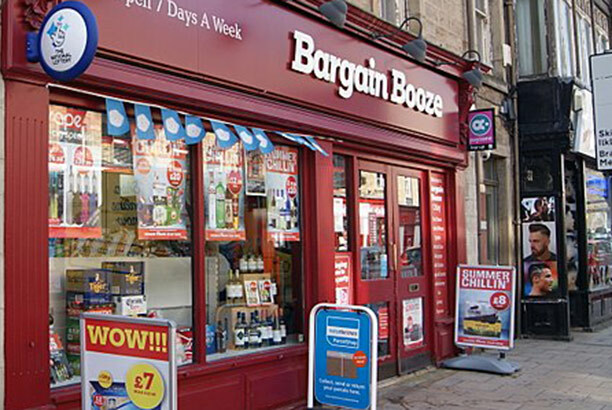 Businesses under the Conviviality Retail umbrella include Bargain Booze, Select Convenience, Wine Rack and Central Convenience, which the company acquired in December 2017. According to a report by The Times, investors in Conviviality are considering legal action against the drinks company’s board after claims that they were misled over the health of the wholesaler’s finances. According to the paper, a particular bone of contention is Conviviality’s decision to raise £30 million to fund its acquisition of 127 Central Convenience stores last year. To-date, the veracity of this report has not been confirmed. Together the Conviviality Retail businesses form the UK’s largest franchised off-license and convenience chain with more than 350 franchisees, over 800 retail stores and distribution from two warehouses in Crewe and Newcastle under Lyme. Bestway Group was founded in 1976 and is the UK’s eighth largest privately-owned company. The group includes Bestway Wholesale, the UK’s largest independent wholesaler, Best-one, which operates the franchises of over 1,113 convenience stores, Bestway Foodservice, a service for caterers and the hospitality trade, United Bank Limited, the second largest private bank in Pakistan and Bestway Cement, the largest cement producer in Pakistan. The group also operates Wells Pharmacy, the third largest pharmacy business in the UK. The news comes after the sale of Matthew Clark, Bibendum and their subsidiaries was confirmed and completed on 4 April. Conviviality subsequently announced that it was continuing to “pursue opportunities” for its retail business, with news of the sale of Wine Rack and Bargain Booze breaking on Friday 6 April. Both deals were completed through a pre-pack administration process, overseen by PwC. This allowed for the sale of assets before the official appointment of administrators, permitting the buyer to cherry-pick the profitable parts of the business rather than taking on all of the liabilities. “Alongside the sale of Conviviality’s Direct business earlier this week, the total number of staff whose jobs have been protected stands at more than 4,000″. Conviviality’s troubles began when it reported its first profit warning on 8 March in which it declared that a “material error” in its financial forecasts had meant that its profit would be £5.2 million less than expected, with share prices plummeting by as much as 68% following the announcement. This was followed by a further update on 14 March in which the company added that it was facing a £30 million tax bill and had suspended trading in its shares. In an effort to pay off debts, on 16 March Conviviality stated that it was “actively engaging with its stakeholders” as it worked out its “funding requirements”. On 19 March the departure of CEO Diana Hunter was announced. This follows additional restructuring at the company which saw a flurry of directional and operational changes announced in January 2018, as well as the departure of Andrew Humphreys as CFO in October last year and the appointment of the appointment of Mark Moran in his place. In January this year, the former head of Bibendum and business development director at Conviviality, Michael Saunders, announced that he had scaled back his role at the drinks supplier to pursue other projects. On 21 March, Conviviality announced that it would be raising £125m to pay off debts and continue trading. On 28 March, the wholesaler reported it had failed to reach its equity target of £125 million and suggested parts of the business may now have to be sold off. In an update on 29 March, it filed its intention to appoint administrators within 10 working days “unless circumstances change”. On 3 April, The Times reported that a number of industry giants, including brewers Molson Coors and AB InBev as well as the C&C Group, were rumoured to be in talks with the ailing drinks wholesaler. The next day (4 April) the producer of Magners Cider, C&C Group, with assistance from AB InBev, announced a joint plan to acquire Matthew Clark, Bibendum and their other subsidiaries. The last word on the Conviviality fiasco? I hope not as we need to learn more about what led up to this disaster and whether indeed the investors were misled or was it just more of what has been described elsewhere as ‘unbelievable management incompetence’. Did those directors who left before the crisis occurred know what was round the corner and very smartly got out before the ship hit the rocks? I hope we shall learn the terms Ms Hunter left on, I am sure the investors would be keen to know. Was she handsomely rewarded for spectacular failure? At least it is good that the core businesses that made up that il-fated company were still worth saving and with that the livelihoods of thousands of workers in them. Can’t help but be astonished by all this – a company with a turnover of over £1b and net profits of circa £50m going under in just 18months! Agree with Charles (above) either gross incompetence or????. Am so pleased all jobs have been protected, the staff have been put through unfair stress. Some suppliers to the retail division are obviously going to suffer through non payment. I understand some investors are considering legal action – which doesn’t surprise me, and throughout all this not one word of apology form any of those responsible, shame on them. Share holders get nothing but all the BOD get a pay off? ?